You are here: Home / Articles / Why Should You Get a Toll-Free Number? Why Should You Get a Toll-Free Number? Getting a toll-free number is easier today than it has ever been before. Usually it only requires the simple step of filling out an online application form, then a phone number is instantly assigned and activated. A toll-free number gives a business a more professional appearance and makes it easier for clients to contact the business, and a free number also provides a company with the potential to increase sales. Getting a toll-free number gives a business the appearance of being more reliable and reputable, and takes any business to a new level. A potential client is more likely to do business with a company that has a toll-free number. Making it easier for clients to reach a business is one of the best reasons to get a toll-free number. Some businesses enjoy having an 800 number that spells out the name of the business or the name of something associated with the business. These “vanity” toll numbers are more popular than ever before due to name recognition qualities and ease of remembering a number that also spells a word. A company can truly make its brand stand out and make that brand recognition easier than ever before for their clients, just by having a toll-free number. Some of the most attractive features of 800 numbers are those of call tracking, detailed call reports that can be accessed, call forwarding, the ability to hold conference calls and voice mail. One of the favorite and most used features of 800 numbers is the call-forwarding feature. 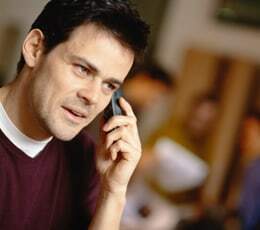 This allows calls that come in to a business to be forwarded to a personal home phone number or a cell phone number. This gives clients the ability to get a hold of someone any time of day, and also allows the owner of a business or a corporate manager to keep their personal phone number private. Businesses are wise in today’s highly competitive business market to have a free number, as it’s easier and cheaper for potential customers to call this 800 number instead of a normal one. 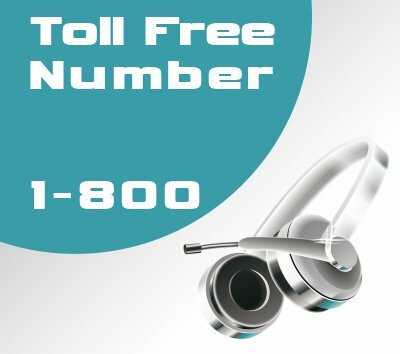 With the ease of getting 800 numbers today, businesses of any size can have that crucial extra competitive edge by getting a toll free number.